When you have been hurt due to someone else’s negligence, it is important to have a competent and experienced lawyer on your side. Our attorneys at Justin C. Johnson & Associates aggressively defend the rights of our clients in personal injury cases. For more than 25 years, we have been dedicated to providing responsive and effective legal services to people throughout Florida. After an injury, we provide you with the focused and tenacious representation you deserve. We represent clients in a full range of personal injury matters. If you have been injured due to the negligence of another party, turn to our firm. We can help you hold the responsible party accountable for their actions. Auto accidents. Motor vehicle accidents are the most common causes of serious injuries in Florida. The consequences of a car, truck or bus accident can be severe, ranging from broken bones and burns to head injuries and even death. When you or a loved one is involved in an auto accident, you need to consult with an experienced attorney. We work with experts in accident reconstruction to determine fault and build your case. Defective products. When you purchase a product, you expect it to be safe. However, sometimes the products you bring into your home cause injury to you or your loved ones. A negligent manufacturer may be held responsible for the harm that their defective product causes. With our resources and skills, we can handle your products liability claim. Unsafe premises. A slip and fall accident can occur on a sidewalk, in a restaurant or store, or on someone’s private property. When the owner or manager of a property fails to properly maintain it, there is the risk that people will be injured. Slippery surfaces, defective wiring, faulty handrails and other dangerous conditions can lead to serious injuries. Our premises liability attorneys can help you prove the negligence of the property manager. Injured children. There is nothing scarier than when a child gets injured. We handle cases involving faulty escalators, day care abuse, defective products and more. We are dedicated to the best interests of your children. Trust us to get you justice for their injuries. Boating Accidents. Surrounded by 8,000 miles of coastline, and including nearly 3 million acres of lakes, Florida is the No. 1 boating destination in the country. Unfortunately, when boats are not operated in a safe and responsible manner, what is ordinarily a fun recreational activity, can become dangerous. The negligent operation of a boat or other marine vessel can lead to devastating injuries. When you or a loved one is injured in a boating accident our office is able to provide experienced and effective assistance to ensure you receive the compensation you deserve. A personal injury does not have to ruin your life. Our lawyers get you the compensation you need to cover medical costs, lost wages and property damage. We also handle insurance coverage and bad faith cases. If your insurance claim has been wrongfully denied by your insurance company, we can counsel you on how to proceed. 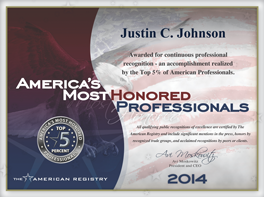 Turn to Justin C. Johnson & Associates to handle your personal injury matter. Call 727.384.3524 or contact us online to schedule a free initial consultation. From our St. Petersburg office, we represent clients throughout Florida.